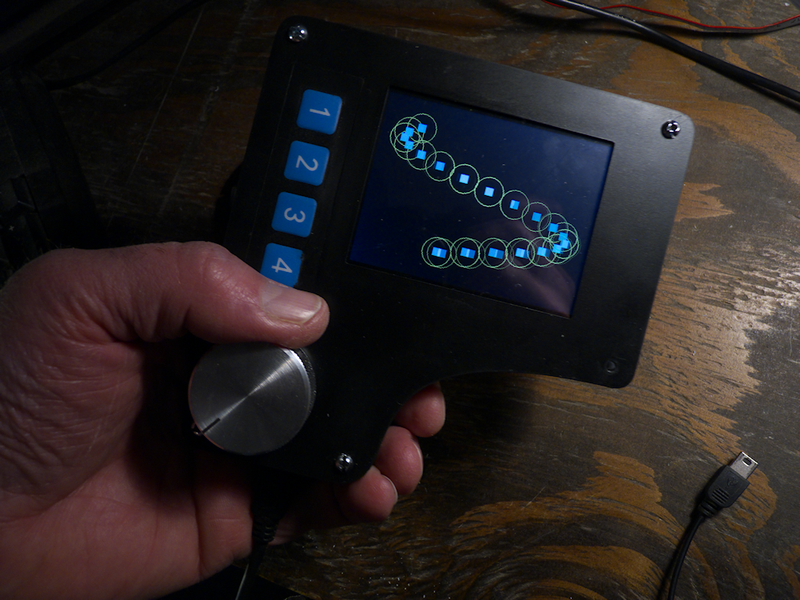 One thing that I have not been real happy with as I build out my control network, is the hand held controller implementation. I had hoped this design would change that but after I’ve played with it a bit I don’t think so. So, I think I don’t like this one either. 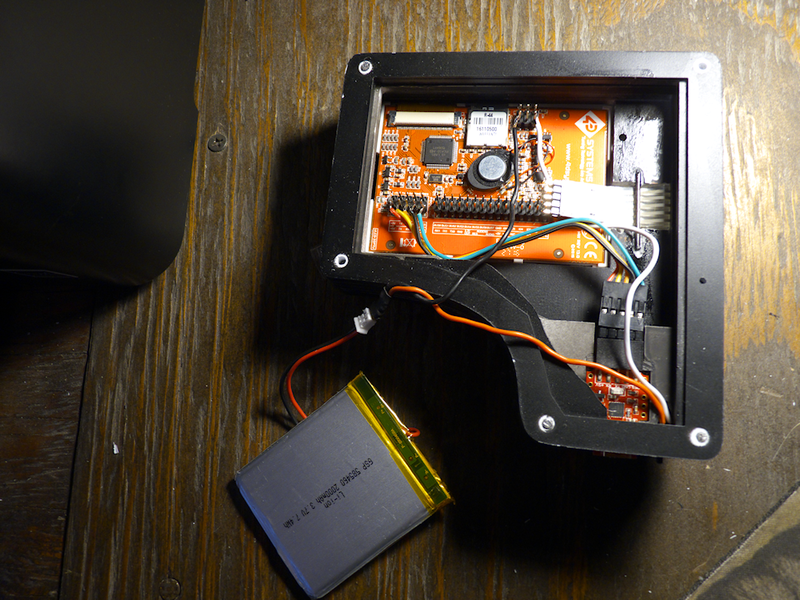 I’m going to scavenge the LCD and try to fit it in the case I’ve found for the alpha numeric monochrome unit. It’s a tight fit but the quality of this display is just too good to let it go to waste. I’m finding I like the off the shelf case I have (I bought two) better than I thought. I have somewhat large hands so I can hold it in my left and turn the knob with my thumb. So this one is defunct now. More to come on this project later. 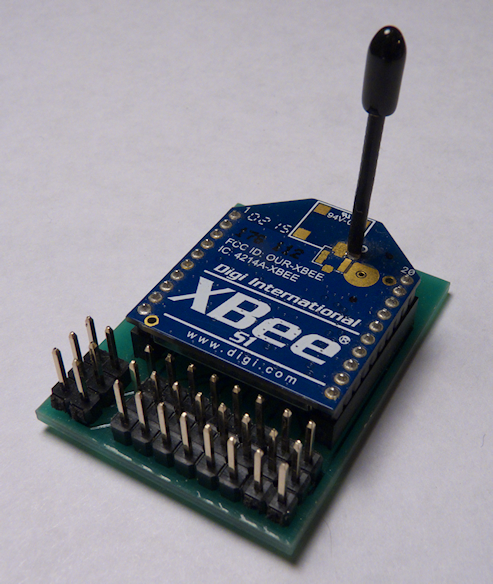 I’ve been working on this Xbee DCC thing for quite some time now and have finally finished it off. Or more like, I’ve finally gotten to the point where I think I could ‘release’ the code and the hardware. I have created a version 2.0 release branch for the code and have most of the hardware in a PCB state so it’s getting pretty mature. And more importantly, it works pretty darn good now! The basic problem I’m trying to solve is how to control my trains, both electric and live steam, with one network. This network would also control pretty much everything else- turnouts, lights in buildings, signals, whatever. Everything on the network- trains, towns, turnouts, signals, would be capable of talking to everyone else, in real time. This would then allow you to tap into the network with a standard interface to leverage whatever application you want on top of it. This is the reason I went with the Xbee. 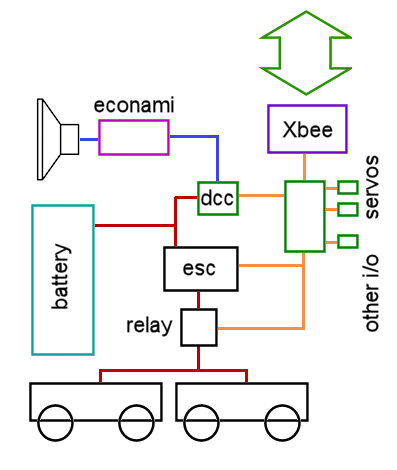 Unlike simple R/C or even Bluetooth, the Xbee (and I am speaking specifically about the Series 1 Xbee, NOT the Pro Zigbee) is a low level point to multi-point network. It runs at 250Kbps and has a range outside of about 100 meters or 300 feet. Every node on the network has a 16 bit address and can talk or respond to any other node. 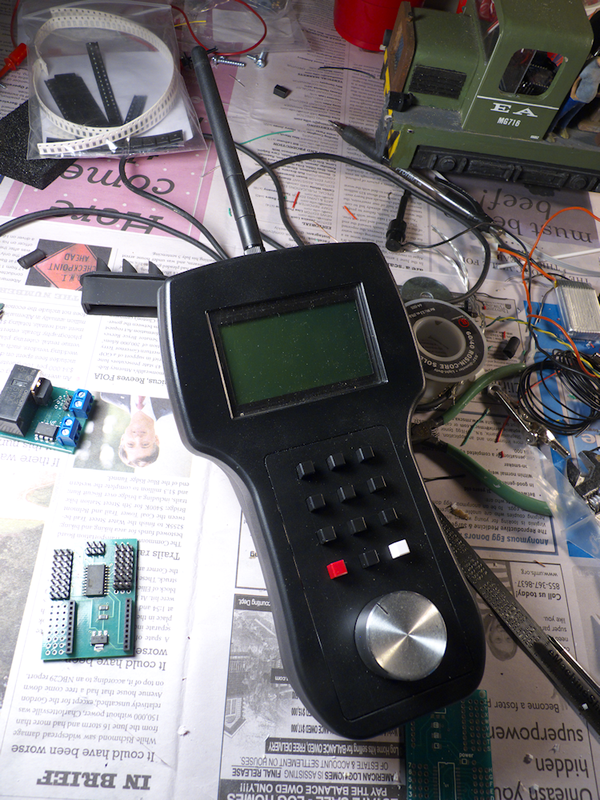 One thing that took quite a bit of time to develop and test was the DCC output. The widget generates 128 step DCC throttle messages and DCC Function Messages F0-F12. It’s a bit basic, you have to program your DCC decoder with an external DCC unit and (for now anyhow) you only get those specific DCC transaction but as you can see from the video, that gives you lights, sounds and throttle. 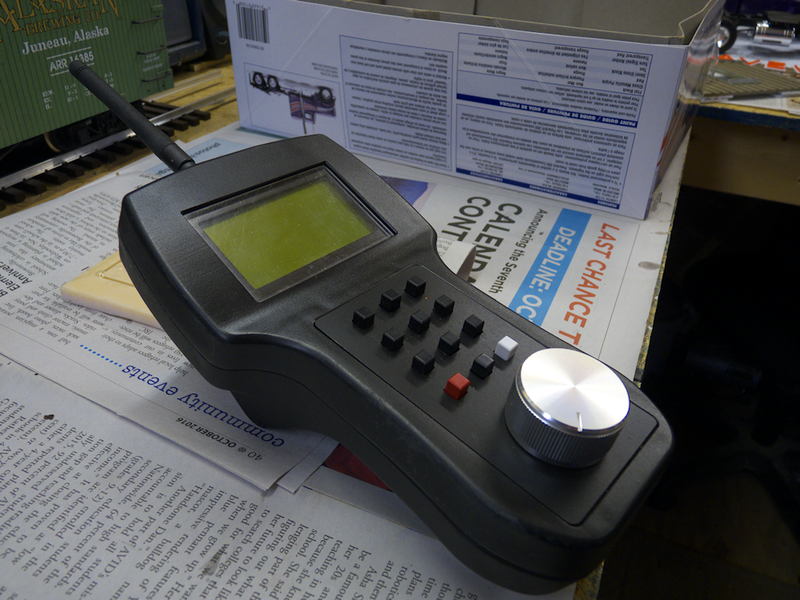 A couple of pictures of my latest iteration of wireless DCC and train control. 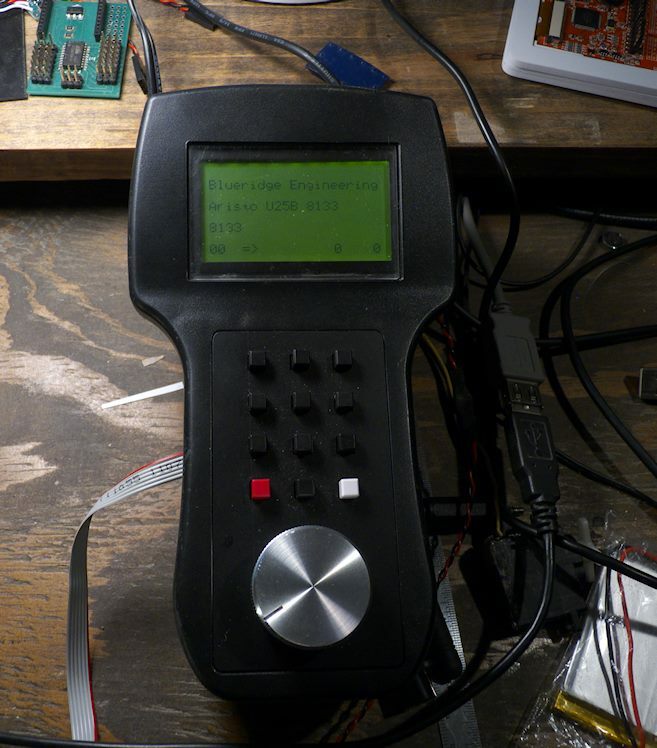 This one has been refactored a couple of times and I now have a nice compact executable that takes throttle and function commands from any controller (in this case, my new hand held design) and converts them to both servo pulses (for the motor controller) and DCC output commands to control the lights and sounds. The speaker is a 2 inch full range with a passive radiator, sounds nice and full. The lights are all surface mount LEDs driven by CL2Ns. I also have servos on the couplers, they are tied to the F6 and F7 functions on the handheld. Everything is now driven by a simple command structure- throttle commands and function commands. The throttle controls the servo 0 spot, I’m using a 20A ESC to drive the motors in the U25B. 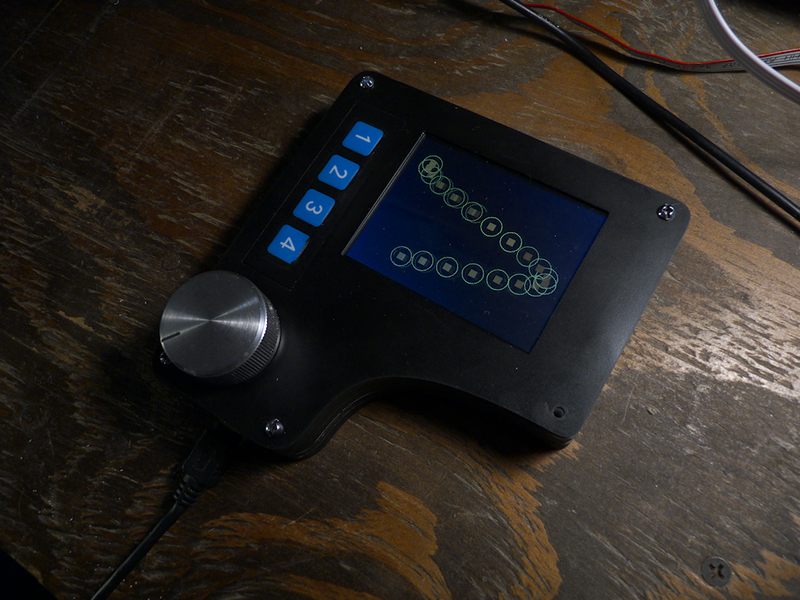 The throttle commands are also used to drive the DCC decoder for the engine sounds. Since this is an HO Economi decoder, it doesn’t have the current output directly. But it does have great sound and I also drive the lights with it. 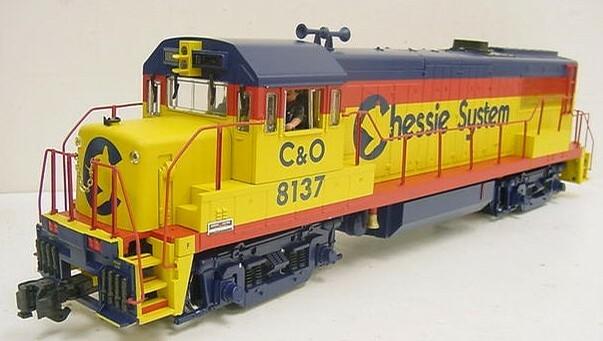 Posted in: Electronics, Model Trains, Other Stuff. I picked up a cheap Aristocraft U25B in Chessie paint the other day and have been taking it apart so I can rebuild it. The idea is to get from the toy like unit I have into at least a semi-scaled sort of model. The photo above is the closest prototype image I’ve found to what is depicted with this Aristocraft rendition. 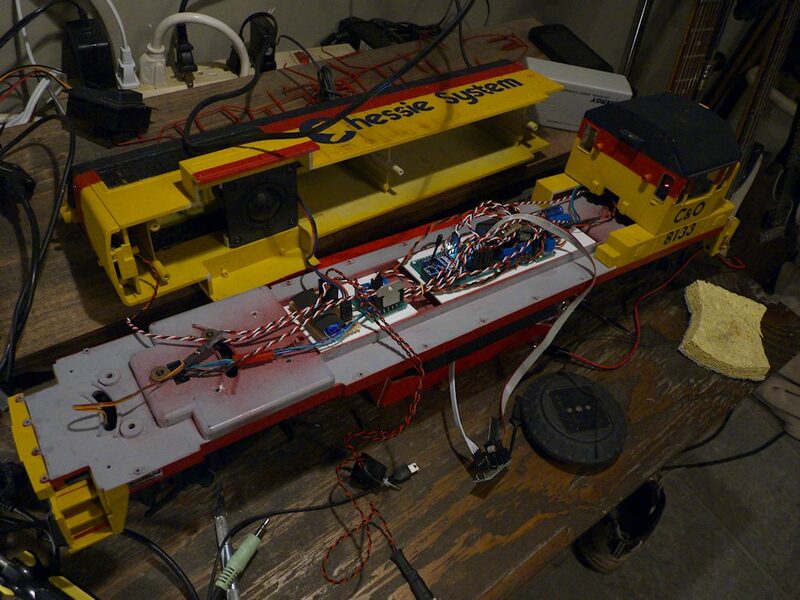 So I’m stripping it down to the base parts with the idea to install my control system, batteries and sound. And of course, a bit of paint and detail work- it is a bit cheezy with the cast color parts. Yuck. So anyhow, I’m getting there. Below is an image of the original model. More in a later post. Yes, I know this is a little weird but I want a knob AND a nice user interface (ala smartphone) to run my trains so I am working on this design. The Knob and underlying circuitry communicate directly with the 802.15.4 network. The phone is just there for the user interface and graphics. Bluetooth is used to communicate between knob/wireless controller and the phone. 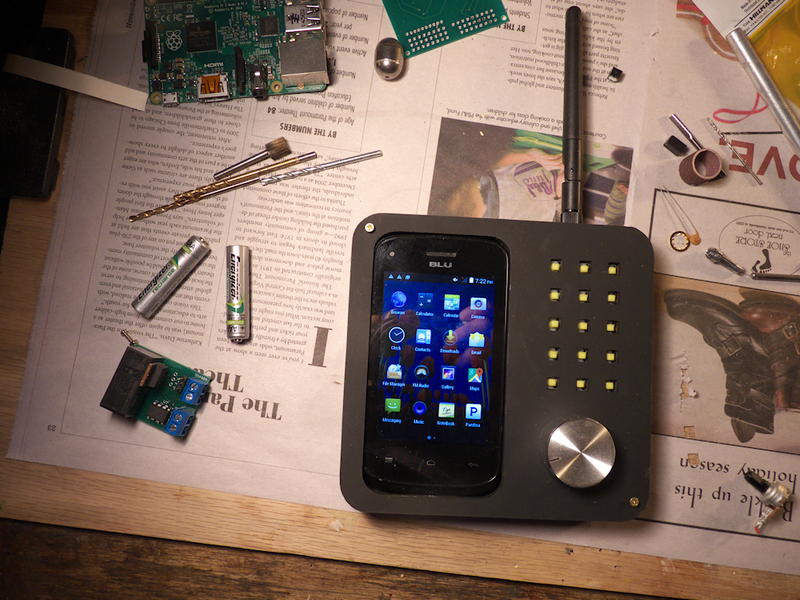 A custom app runs on the phone. I have the infrastructure working for this, its just a matter of smushing all the components into this small space and refactoring the software a bit. Both the case and the face plate for this were cut on my Probotix X90 3D router. Today I got my order of printed circuit boards from Bay Area Circuits. I promptly populated them with components and powered them all up to see how they would do. Everything works! Very nice! Next step is to install these into one of my locomotives and replace all the breadboards with something clean and production quality. 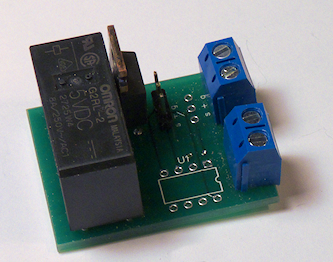 Pictured, in order, is the 8Amp DPDT relay module, it’s used to reverse the direction of the locomotive. It can be triggered either with a logic one or zero, say from an Ardunio, or from an R/C signal via your generic radio control system. (The logic version is shown, the R/C version has an additional chip on the board, you can see the outline). 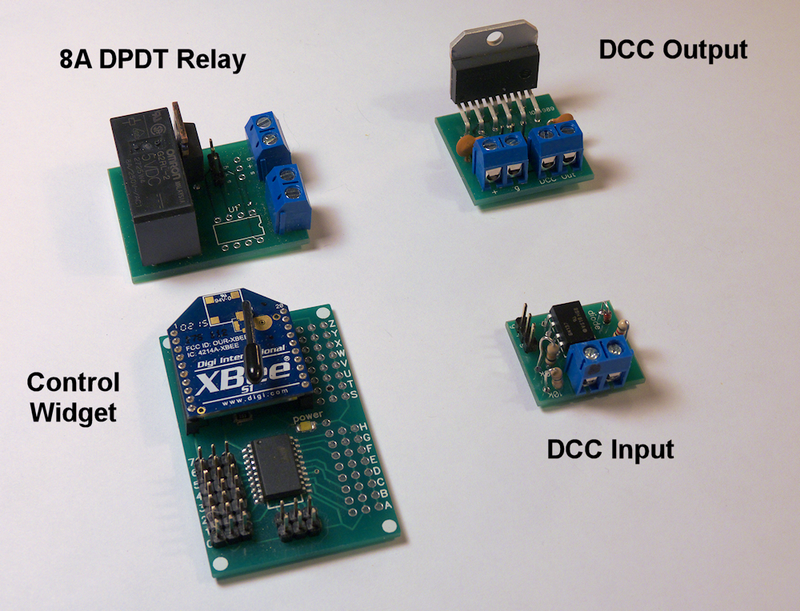 Second is the DCC output module. 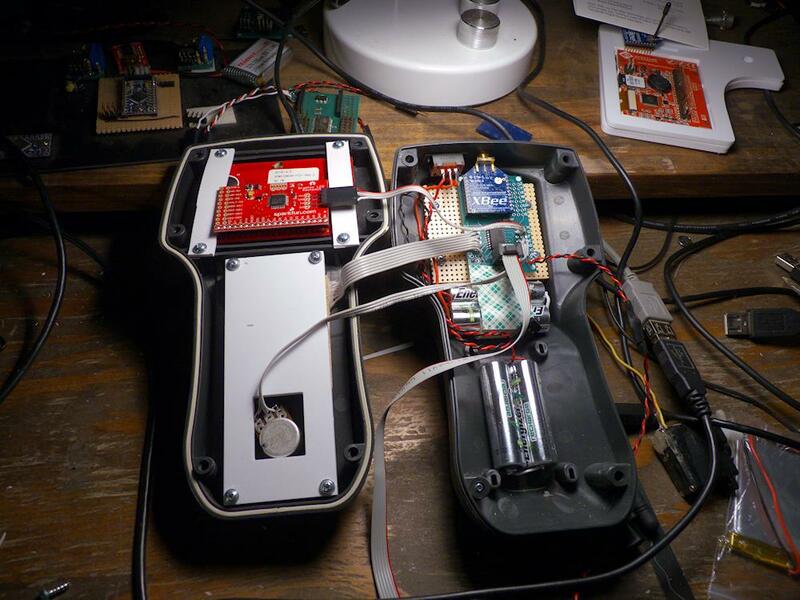 It is designed to be driven with a logic signal from a micro-controller such as the Ardunio. Logic input in, attach your choice of battery (or other) power to the input terminals and it provides up to 3Amps of DCC encoded power on the outputs. 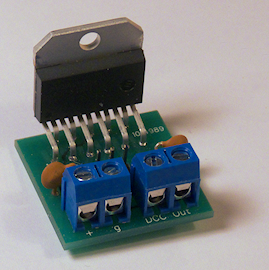 Below that is the DCC input module, connect this to any DCC device like the MRC Prodigy or NCE DCC units and it converts the high voltage DCC signal down to what a micro-controller or Ardunio needs. The last one is my Control Widget Node. 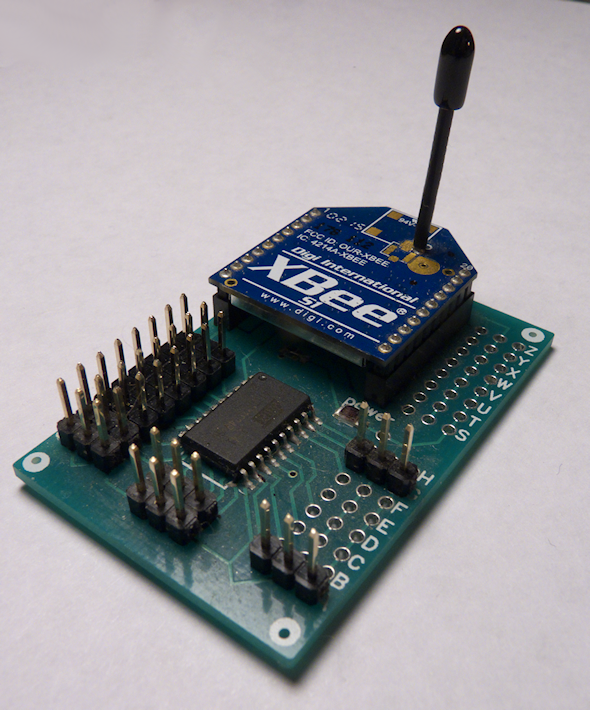 This device is a micro controller wired to an industrial strength Xbee Series 1 802.15.4 Wireless Network Module. I use this for both my Control and Slave nodes. It allows high speed data delivered in an organized network infrastructure with a range of about 300 ft. I send both proprietary packets and DCC messages over this in real time. This is the latest PCB design.